GALION — Saturday’s annual Cross Country Festival at Amann Reservoir did not disappoint as participants and spectators were treated to some to dynamic team performances, most notably in the Division III races. As expected, in the Division III boys race, Colonel Crawford standout Chad Johnson took the crown. Johnson ran his way to his fourth invitational crown, in 15:14.4. 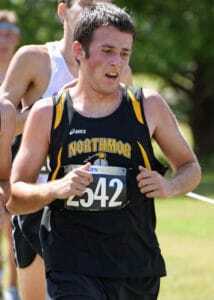 Although it was not his fastest time of the season, Johnson was satisfied with his performance. Andrew Jordan, a Watkins Memorial graduate set the mark two years ago. The runner-up in the D-III race, Liam Dennis from Mount Gilead, finished in 16:30.6. Div. III boys race at Galion Cross Country Festival, Sept. 16, 2017. Photo by Don Tudor. See more photos of local athletes in the boys races in our online gallery. The boys team from Mount Gilead won the D-III team title while Colonel Crawford took fifth and Northmor ran to ninth overall in the 26-team field. There were 176 runners that crossed the finish line in this race. 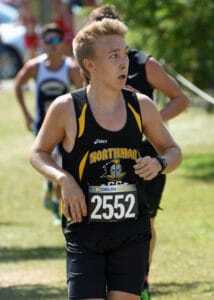 For the Knights, Gavin Keen was the highest placer, 15th overall in 17:28.4. He was joined by Austin Amens- 17:55.2; BJ White- 18:40.1; Kaleb Hart- 19:04.0; Chase Hoover- 19:06.7; Kooper Keen- 19:59.0 and Manny Heilman- 20:39.5. 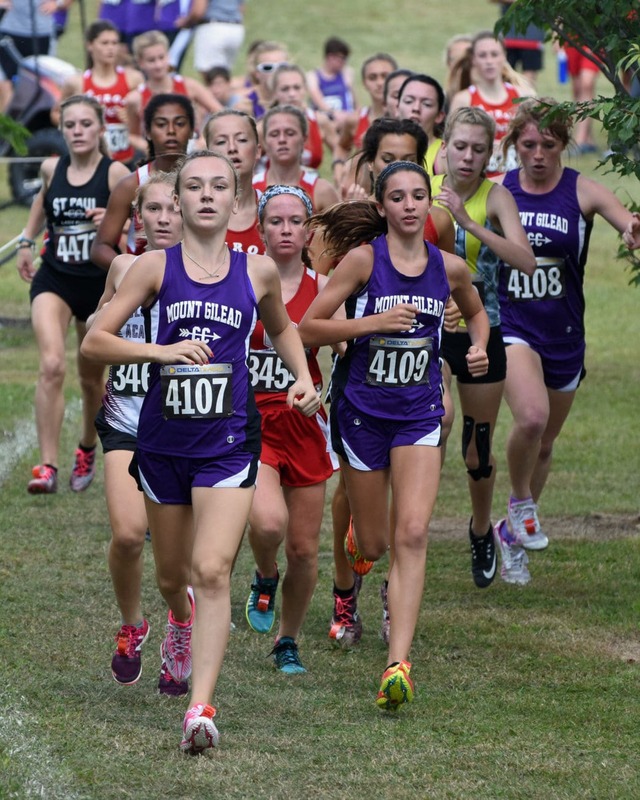 Mount Gilead also won the girls D-III race, beating 24 other teams. 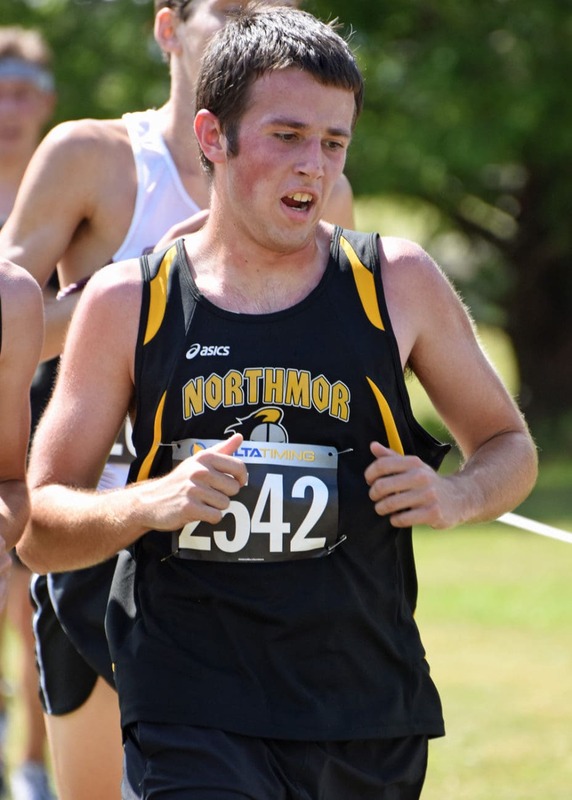 Northmor finished third overall and Crawford was sixth. The Knox-Morrow Athletic Conference (KMAC) had four teams finish in the top five of the festival. There were 166 runners that crossed the finish line in this race. The individual winner in the D-III girls race was sophomore Baylee Hack of Mount Gilead, 18:49.9. Northmor’s Jessica Duryea was 10th in 20:18.7, followed by teammates Samantha Peters- 21:49.5; Sabrina Kelley- 22:21.5; Julianna Ditullio- 22:35.7; Julia Kanagy- 22:49.7; Brooke Bennett- 23:26.0 and Olivia Goodson- 26:11.6. See more photos of local runners in the girls races in our online gallery.